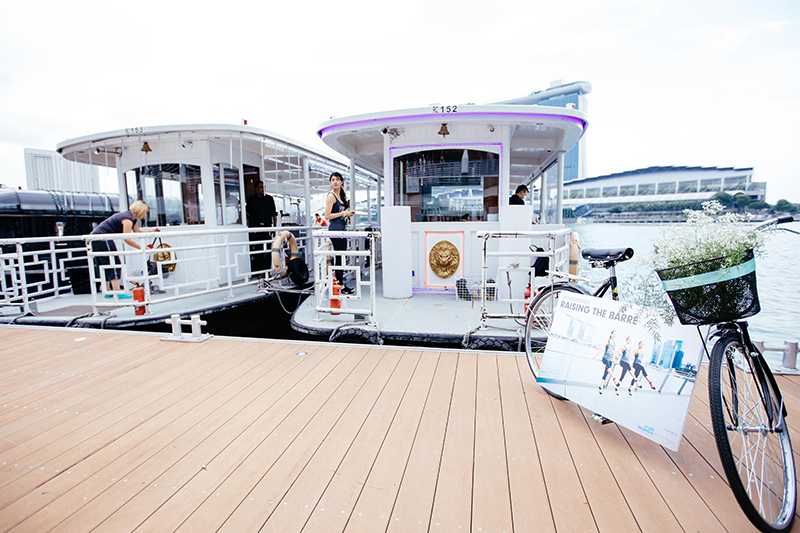 Mondays are not exactly your typical day for having fun or going out, but 25 May was a different affair. 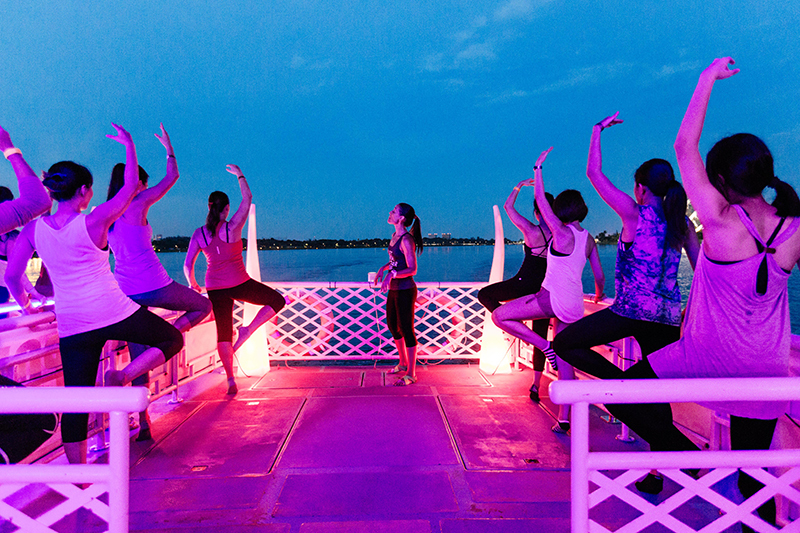 That evening, we finally had something to look forward to on a Monday - Raising the Barre charity event. Suffice to say that we didn’t just raise the bar for ourselves in terms of exciting events. We raised spirits, money, and a few eyebrows as well. 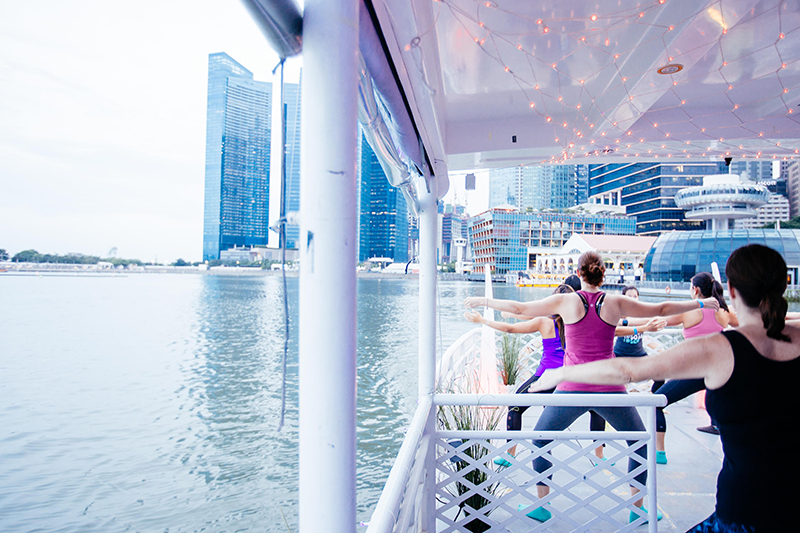 During Session 1, the sky remained mercifully cloudy, as the boats took our participants around the gorgeous Marina Bay area during their challenging outdoor Xtend Barre session, much to the amazement of riverside onlookers. 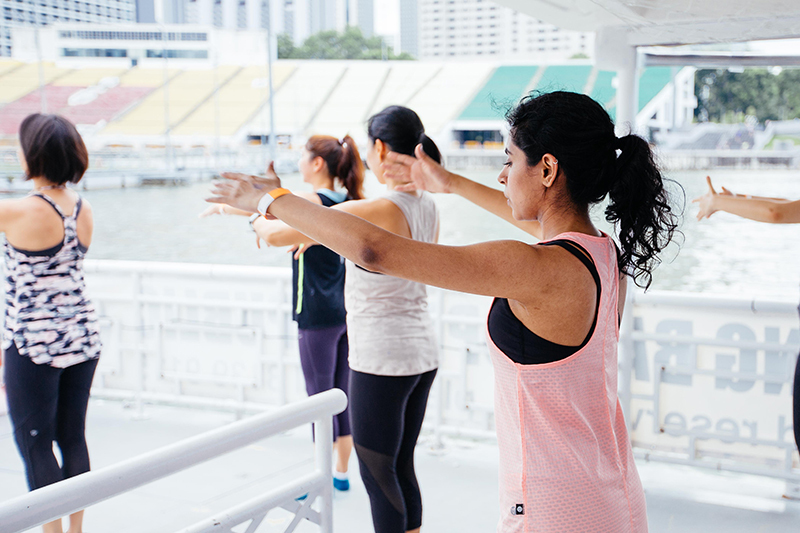 Our participants had a great time and workout, sweating it out to an energising playlist of upbeat pop songs while beholding the amazing view of the Central Business District, Marina Bay Sands, Gardens by the Bay and the Singapore Flyer. 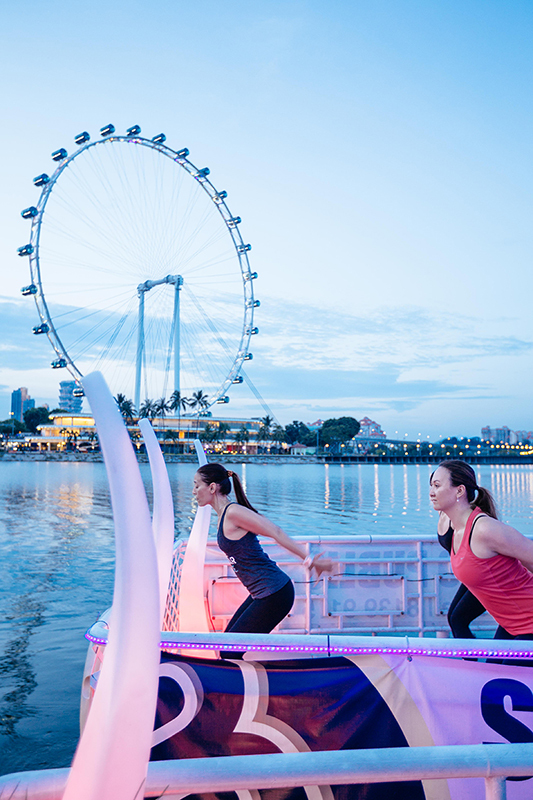 The workout concluded with the boat making a final round from Clifford Pier to Gardens by the Bay and back, while participants had a round of complimentary drinks to enjoy while taking photos of the stunning scenery around them. The Session 2 boat departed as the sky darkened and the clouds were tinged pink, with both boats filled with enthusiastic and generous souls who were in for a much different experience than Session 1. 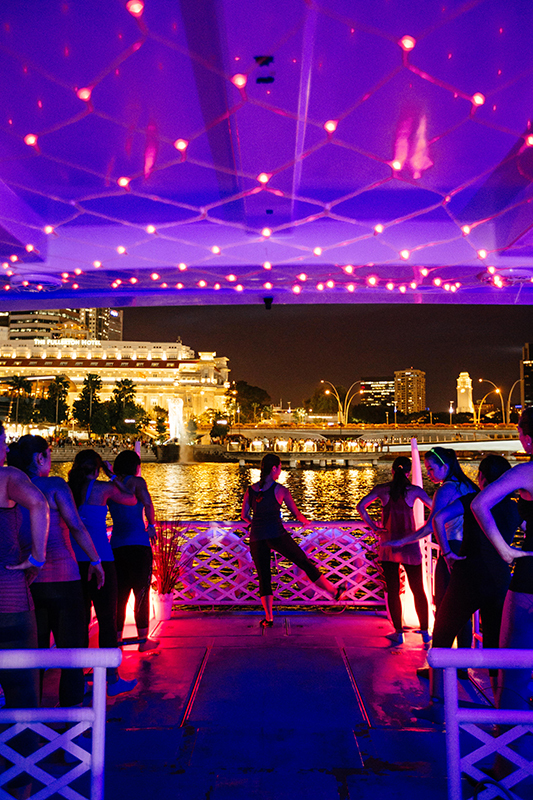 Colourful LED lights lit up the space on the boat as the sun set, which gave the class a chic atmosphere. As the music throbbed, our participants pulsed along dutifully under Beatriz’s direction. 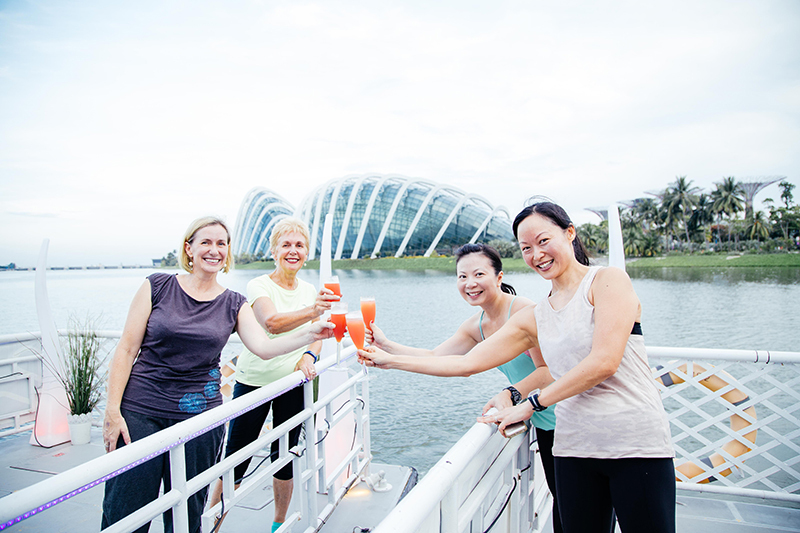 After indulging in Singapore Slings and juices, our participants received their Fresh Favourites goodie bags and Cosmopolitan magazines as they disembarked. We wrapped up the evening with $1440 raised for UN Women. Thank you all for your contributions and we hope you had as much fun as we did! Check out our event video here!